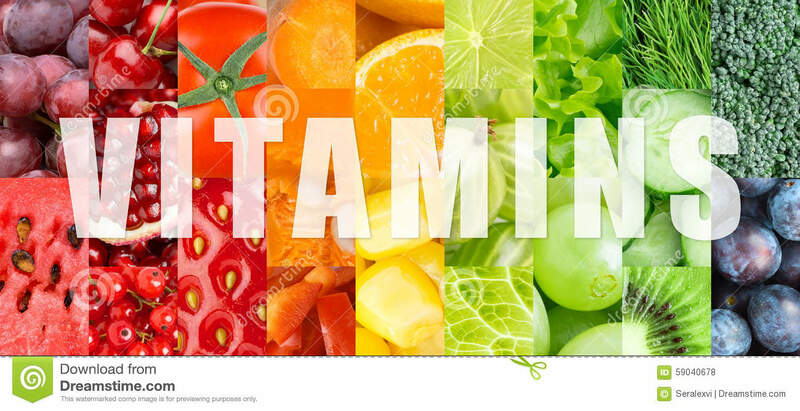 (RxWiki News) Vitamins and minerals are substances that play important roles in the body's processes, such as metabolism, immunity and digestion. They ensure healthy cell growth, function, and development and are vital to good health. Fat-soluble vitamins are stored in the body’s fat. Water-soluble vitamins are used quickly, and extra amounts of these vitamins are removed as urine. Too much of any vitamin or mineral can be harmful to the body. The health consequences of taking excessive amounts of certain vitamins can be serious. But vitamin deficiencies can also increase health risks. Heart disease, cancer and poor bone health can result from not getting enough of certain vitamins. Minerals are also necessary to keep organ systems regulated. It is important to get the right amount of both vitamins and minerals. Vitamin A helps with the skin and vision. Carrots are full of vitamin A.
Vitamin B has a variety of functions. Most types help with cell function and converting nutrients to energy. B1 (thiamine) helps nerve cells and assists with processing carbohydrates. Breads and cereals usually contain this. B2 (riboflavin) breaks down carbohydrates, fats and proteins. Dairy, eggs and meat contain this. B3 (niacin) controls cholesterol and improves brain function. It is found in meat products like poultry and fish. B5 (pantothenic acid) converts fat to energy and regulates cholesterol. Sources include milk and eggs. B6 (pyridoxine) helps with nervous system function. It can be found in nuts, meat and poultry. B7 (biotin) aids in hormone production and energy storage. This is found in avocados and meat products. B9 (folate) prevents birth defect development. This is important for women of childbearing age. Vegetables contain folate, but supplementation is sometimes necessary. B12 (cyanocobalamin) is needed for cell regulation and energy. It is found in dairy products. Oral or injectable supplements may be required. Vitamin C helps with iron absorption, wound healing and immunity. Citrus fruits like oranges are a common source of vitamin C.
Vitamin D is required for calcium absorption and bone health. Most vitamin D comes from the sun. Ten to 15 minutes in the sun three times per week is often sufficient. Vitamin E is an antioxidant that prevents unstable molecules from damaging the body. Cereals and nuts are a good source of vitamin E.
Vitamin K helps with blood clotting and bone health. Sources come from dark, leafy vegetables. Calcium helps with bone and teeth formation. Dairy products are a great source of calcium. Phosphorus is necessary for creating genetic material. It also helps carry nutrients in the body. Many dairy products contain phosphorus. Magnesium is needed for many chemical reactions. It works with calcium for muscle and blood pressure control. It can be found in green vegetables. Sodium balances body fluid and sends nerve signals. It is important to limit sodium to 1,500 to 2,000 mg per day. Even modestly lowering sodium intake can help keep your blood pressure controlled. Potassium balances body fluid and helps the heart. Potassium is found in many fruits, such as bananas. Chloride helps with converting food to energy. Celery and other vegetables can provide chloride. Another mineral of note is iron. Iron is found in red blood cells and helps carry oxygen from the lungs throughout the body. Women and vegetarians tend to be deficient in iron. Leaving such a deficiency untreated can cause anemia. This is when red blood cells cannot properly carry iron, which causes poor oxygen delivery. It is easier to get some vitamins and minerals than others. For instance, older adults tend not to get enough calcium. Vegetarians may be deficient in B12, iron or zinc. Certain conditions may have specific vitamin or mineral needs. Patients on blood thinners need to watch their vitamin K, for example. Patients with kidney conditions require potassium monitoring. Certain heart conditions warrant sodium restrictions. A health care provider can provide insight on your unique nutritional needs. The evidence on multivitamin use for overall health or disease prevention is mixed. Certain groups may benefit more from multivitamins. These include women of childbearing age, patients over 60 or strict vegetarians. But no multivitamin is a substitute for a healthy diet. Deficiencies should be approached on an individual basis. And it is important to make sure that adding supplements on top of a multivitamin will not put you over the maximum daily limit for any nutrient. Daily nutritional needs will vary from person to person. Blood work can reveal deficiencies and guide supplement recommendations. Talking to a doctor or dietitian is the best way to determine whether your body is getting what it needs.